Yet another example of how some people will expend so much effort to do something wrong. Even Home Depot sells 5S raised covers. 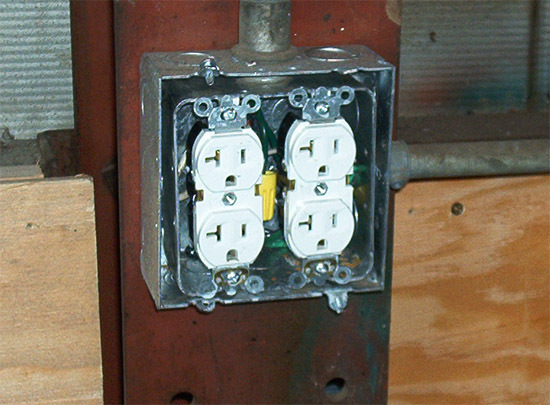 Anyone can call themselves an "Electrician", but knowing how to work correctly as one, are two totally different things. Could this be a new version of Double-Insulated equipment?. The proper box fill for this contraption is ... take the handle end of the hammer and press on the wires; if you can get the face plate on it's correct. Would you consider it to be unsafe? Which box would the cover go on?. I don't understand why anyone would do this?? I'm sure I'm missing something.